What does it take to get started as an ecommerce seller? 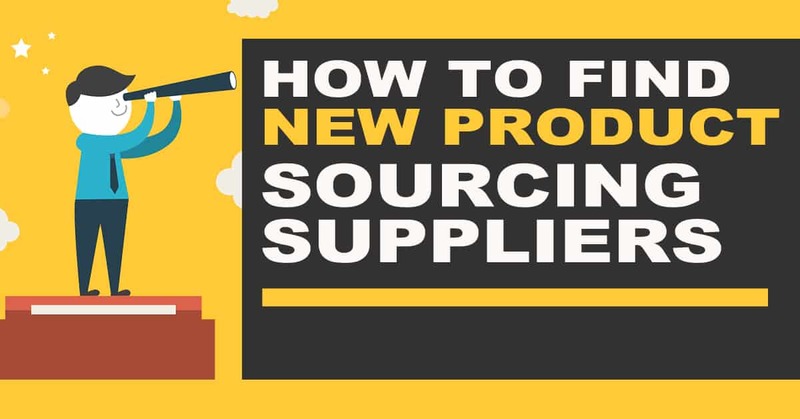 How do you navigate all the ins and outs of launching your first product, making adjustments along the way, and begin planning for the next phase? On this episode of The Amazing Seller, you’ll hear from Scott’s guest, Toni. Toni opens up about her journey from starting her own consignment shop to launching her first private label product on Amazon. Find out how she was able to get started, learn from her successes and failures, and much more! This is a fascinating and inspiring episode that you don’t want to miss! What type of motivation and determination are necessary to launch a small business? Do you have to have a business background or can you learn the process along the way? Many ecommerce business owners have made their way using both routes. Some come from a business background, and others learn along the way. It’s helpful to hear from both experiences to see what it was that helped them succeed. On this episode of The Amazing Seller, you’ll hear from Toni. Toni grew up watching her mother operate her own small business, a consignment store. That experience gave Toni the courage to branch out on her own and start a consignment store and later an ecommerce business. One of the fascinating aspects of Toni’s journey is how resourceful she was when she started her consignment shop. To hear more of Toni’s story and to find out what you can learn from her, make sure to catch this episode! Admitting you need help and asking questions can be a really hard thing for a lot of business leaders to do. But if you fail to pause and seek some outside input from others at critical points in your journey, you could end up regretting it! Don’t let that be your story. On this episode of The Amazing Seller, you’ll hear Toni, even in the midst of her success, pause and ask Scott for some important advice. This goes to show you that successful business leaders humble themselves and take advantage of the wisdom of others. Find out what other helpful lessons you can learn from Toni’s story on this episode! When you are in the middle of getting your ecommerce business off the ground, you don’t have a lot of time to look ahead and plan for the next step down the line. As busy as things get, it’s always important to take the time to step away and plot out how you plan to capitalize on your success or course correct from your failure. On this episode of The Amazing Seller, you’ll hear Scott and Toni talk about her next steps as she looks back on how successful her product has been and what she plans to do to build upon this growth. Make sure you sit down with pen and paper to learn from this helpful episode! You’ve heard the old saying, “You miss 100% of the shots you don’t take.” That wisdom applies to taking that step into the unknown and starting your own ecommerce business too! Don’t let fear and hesitation rule over you, take a leap and find out what you are made of! On this episode of The Amazing Seller, you’ll hear Toni’s story and how she was able to silence the voices of fear and doubt to start her journey toward success. What are you waiting for? Listen to this episode for the insight and motivation to move forward! [4:00] Toni joins the podcast. [6:00] Toni tells her story, the cliff notes version. [10:00] How Toni started her consignment business. [16:00] Tomi talks about making the shift to start her ecommerce business. [30:00] How Toni launched her first product. [36:00] Scott and Toni talk about her keyword strategy. [42:00] How did Prime Day impact Toni’s sales? [47:30] What are Toni’s plans for the future? [51:00] What were the numbers Toni was looking for with her first product? [56:00] Parting thoughts from Toni. …I have a really awesome woman coming on to share with you how she went from zero, zero to 24… Actually by the time this is airing, it’s going to be over $25,000 but I put $24,000 because that’s the actual. It’s actually a little bit more than that since launching her first product and she did it in a relatively short amount of time and you’re going to hear everything through that process. You’re going to hear her story too on where she came from and where this entrepreneurial bug came from and all of that stuff and you women out there, I’m thinking about you and it’s funny. I meet a lot of women at events or they’ll email me and every time I get someone that I think will inspire other women, I want to get them on the show. And it’s funny, a lot of times, “I am shy, I don’t really want to be on the show.” I’m like listen, “It’s just you and me talking.” And Toni was really cool. She’s like yeah, “I’ll definitely come on because I would love to inspire other women.” I want women, I want men, I want kids, I want anyone to realize that entrepreneurship is here and it’s not like it used to be where it was looked down upon but it’s here and it’s open for anyone. It doesn’t matter and I know even when I was talking to Toni a little bit and we were talking about it. It seems like it’s a men dominated space and it does and I don’t think it needs to be. I think the opportunity is there for everyone, for all of us but there’s a lot of women out there that are also just like, “I don’t really want to put myself out there.” And that’s fine but I would love to hear from you and there’s a few of you that are probably listening that I’ve met in person and you said that you were going to come on the podcast and you haven’t contacted me yet. So when I was at Sellers Summit, she didn’t even have her product launched yet. It was actually, I think it was just being shipped to her house and when she got home, she was going to launch it. And now we fast forwarded a few months and she’s already at 24k in revenue, in revenue. She’s got good margins though. I’m super, super excited for you to hear from her and hear our conversation and I can’t wait to hear more from Toni in the future too because she is just a go-getter and she’s just out there doing what she does and that’s just hustling. Going out there and doing what she wants to do in building a lifestyle business and that’s really, really what I love about stories like this. If you guys want to download the show notes, the transcripts to this episode, head over to theamazingseller.com/396. The other thing is I’ll even tell Toni to go over and hang out in the show notes area because I’m sure there’s going to be some women that are going to be asking questions and reaching out to her. I will let her know when this airs and then this way here, she can be there and she can chime in and give you guys… She’s already said that she would do that. So yeah, definitely go over to the show notes page, theamazingseller.com/396 and get all the goodies over there. Alright, I’m excited. I can’t wait for you guys to hear this conversation that I had with her. [00:03:59] Scott: So sit back, relax, be inspired, enjoy this but also get out there and make it happen for yourself. So sit back, relax and enjoy. [00:04:09] Scott: Well hey Toni, thank you so much for coming on the podcast. How you doing? [00:04:12] Toni: Great, I’m so excited to be here. Thanks for having me Scott. [00:04:31] Toni: Yeah, it’s awesome. [00:04:32] Scott: Yeah like I met a lot of great women there at the Seller’s Summit and I said to a bunch of you, I was just like, “We need more of that.” Whenever I have someone on that can inspire just another segment of the audience I guess, I like to do that. You have people that are stay at home moms but you also have men that are truckers, that are on the road all day and it’s like there’s a wide range but I know that there’s a lot of women out there listening that just think that maybe it’s dominated by men and I don’t want it to be that way. So when I hear someone like you, I say, “You know what, we got to get you on and we got to inspire some women out there.” So let’s go back a little bit. Let’s get people caught up. Number one, give us a little bit of your backstory and then maybe get us caught up to what’s been happening or maybe what happened when we were at Sellers Summit because something exciting happened there that you were like just launching. I think your product had just been shipped to you and you were going to be sending it in or something? [00:05:50] Scott: Take us back a little bit, like a little bit of your backstory. Okay, ecommerce, Amazon, how do you even get… How are you even aware of this and I think you have a brick and mortar store there too? [00:06:04] Toni: I do. That’s initially how I got started. Just being an entrepreneur in general, I was in the corporate world for a little bit after college, I realized that I wanted to be my own boss. So I opened a brick and mortar consignment store when I was 25 and had no idea what I was doing but I just went for it and that has been going really well for the last 8 years. Transitioned a little bit of that store into ecommerce two years ago and so I started learning a little bit about ecomm then. I think I found your podcast through listening to or from being on Steve Chou’s email list about ecommerce stores and then you were on one of his blog posts. I started listening to your podcast and I was like, I think I want to try something new like this sounds awesome. Really, really interested by everything you guys were doing and just… You talk a lot about not having all your eggs in one basket and diversifying and I was just ready for a new project and so I got really excited about the ideas of doing some stuff with the Amazon too. [00:07:15] Scott: Yeah, I want to go back a little bit though. I want to unpack like okay, you’re out of college, you get into the corporate world, it’s not for you, you have this like, “I got to do something else, I want to be my own boss.” And from there, what made you think of a consignment shop? I always like to go back to like how the story was set up. So what triggered a consignment shop for you, number one? [00:07:40] Toni: Well number one, my mother who lives in Minnesota has a consignment store and has had one for 30 years. [00:07:48] Scott: Okay, tell me more. [00:07:50] Toni: I grew up working there. I knew the business model. I never thought I would have done it. If you would ask me that like 10-15 years ago, I’d say, “No way.” But thinking about opening your own business, you need loans and you need backing and consignment was a great model for me to be able to start with just a little bit of startup cash like you don’t have a ton of overhead going in. For me, I wanted to open a boutique but then it was a great way for me to get started without needing a ton of startup money. I gathered clothes from my friends. The law firm I was working out, they were super supportive, all the partners brought in clothes and everybody really helped me out gathering inventory to start and I had it set up in my apartment. My roommate probably still wants to kill me. There were racks of clothing for months in there and then I quit my job, opened the store and just snowballed from there. Just a lot of support from friends and colleagues and family and it’s different from my mom’s store. And I’m in the Washington DC area so it was really easy to do like a high-end, very gently used clothing, shoes, accessories, handbags, that kind of thing. [00:09:15] Scott: Okay, so you specialized more in your consignment shop than it being like you’ll just take anything? [00:09:20] Toni: Right, right. We have brands and everything has to be two years old when you’re wearing, in great condition. The name of the store is Mint Condition. [00:09:32] Scott: Okay, okay. I think that’s a great model because again, you’re niching down in that space. Anyone can really go into and be like a consignment shop that just offers anything. And you’re like, “You know what, I’m going to be known in the area for high end clothing or purses or things like that.” But like you said, you have your criteria, it’s lightly used, so people are going to know your reputation is good because you have good quality and I can imagine you’re going to start getting a little bit of a following locally of people that are going to be coming in and seeing what you have on a weekly basis. [00:10:05] Toni: Definitely. We’ve got lots of regulars and very good following. [00:10:10] Scott: That is really cool. Okay, so the other question that I would have in that and we’ll get to like the physical product stuff here in a minute but I need to unpack this stuff too because I always find it interesting to see how the journey unfolded. But at this point, you want to do this and it sounded all good. So where do you get like store front? How do you get like you said, like you don’t need a ton of startup but you do need to sign a lease or something or get some type… And you got to be in a good area that has good traffic or at least I would think so. How did you know where to pick? How did that all unfold? [00:10:42] Toni: Well, I just did a ton of research. I looked at DC metro area. You have DC Maryland and Virginia, like a few pretty nice cities all right around each other and I did a lot of research and I visited places and just really thought about it and I found… I ran into somebody who was a friend of a friend who knew of a space that was going to be open and it was all just fell into place at the right time and definitely with a lot of research involved but it was affordable and small and I started off there and I had some savings that I had put away that I spent all of doing it but it’s definitely it was worth it at the time. It was a good time for me to take the leap and it was actually in the middle of the recession but consignment was pretty protected at that point because people were more willing to buy used and they were more open to wanting to sell their things they weren’t using anymore. For me it wasn’t a terrible time. [00:11:47] Scott: Yeah, that’s a great point because I mean honestly you were like the answer to the recession because I think the recession people, they’re still spending but they’re going to be more cautious on what they’re going to spend and how much they still want those jeans or they still want that purse but they don’t want to spend the purse price of a brand-new purse but they can still have it. I get that. That’s really cool. Now, the other question I have for you is, I think initially you said like you reached out to friends and family and co-workers and said, “Hey, if you have anything let me know.” How do you structure a deal like that? Did they just give you as a donation or did they actually say like they’re going to do a consignment where if you sell you’re going to give me 20% or whatever? [00:12:28] Toni: It was all consignment. At that point, I already had the contract and it’s basically… They had to wait until the store opened but there’s a whole structured procedure that we follow where they receive half of the selling price when the item sells and everything is on like a 90 day cycle where there’s markdowns, they’re scheduled within the 90 days if it hasn’t sold by a certain point and it’s all set up ahead of time. [00:12:55] Scott: Got you. Okay, cool. So okay, you got it all figured out there. Now, was that being figured out because your mother had did it for 30 years and she’s taught you some things or is this something that you just thought that was necessary? [00:13:08] Toni: Well, it was both really. I took a lot of what I had learned from her and I put my own spin on it. I’m in a very different area, I’m serving a different clientele like I have. My demographics are different. So I definitely had a lot of the knowledge that I needed going into it from her experience and working with her for so many years. So that was definitely an invaluable resource for me. So, got to give a shout out to mom. [00:13:39] Scott: I was going to say, what’s your mother think of your journey so far, like from where you were, where you’re headed, going into college and then coming out of college and then now where you’re at? What does she think of that? I’m just curious. [00:13:53] Toni: She loves it, so proud. Like buttons popping. Super sweet. And the Amazon stuff too. She was like, “I could not be more excited about how this is going too.” She’s really into it. [00:14:07] Scott: I think she’s an entrepreneur too, so she gets it. She gets it. She’s not really cut from the same cloth as far as like people that are, “You need to go to college, you need to get a degree, you need to work for corporate.” You can tell but sometimes, if people are entrepreneurs and they weren’t successful or didn’t have that success, they might try to steer you away from it because they feel it’s too risky and not stable and that stuff. So it could go the other way too but for the most part. [00:14:40] Scott: You’ll be back, you’ll be back asking for your job or something. [00:14:47] Scott: That’s not happening. I’m going to make sure it does not happen. All right, cool. [00:15:03] Scott: Yeah, I get it. It’s like, if you’re in, you’re in. You got to figure out a way to make it work and you did and things are, again they’re going in other directions now too since then. So take us to that now. So now, you’re up and running, you got a nice little store, it’s got a nice stream of clientele, you’ve probably got regulars that also say, “Hey, I’ve got some new stuff for you to list.” And so now you’re starting to get like both ends, but you’re getting a buyer and a seller and you’re able to now keep your inventory going because they know that you’ve got a nice location and all that stuff. Where does the next thing come in? Like you said, you’re always like an entrepreneur, you’re always thinking to yourself like, “Oh, there’s something here, there’s something here.” How did this get to the point of where you’re now ready to launch a physical product or you already have? [00:15:55] Toni: I guess with my store it’s great and I love it. It’s a lot of work which I’ve never mind working hard but I’ve just been watching this trend of everything going online and all this ecommerce and I’m like, “How do I get online?” Consignment’s a little different in the sense that you only have one of each thing. So it’s really labor-intensive to photograph, write the description, list, post, monitor just for one thing over and over and over with all of, we get like thousands of items in a week. It’s too labor intensive. So I played with that for a little bit and then through looking into ecommerce options is how I found all of this FBA stuff which is what I’ve been looking for, something that’s a little more automated, like a little more hands-off. I know it’s still a ton of work, I’ve been putting a lot of hours into it but it’s different. So yeah, just looking into the ecommerce stuff and then finding your podcast. I found it last June. I started listening because I can see when I downloaded it. I went back and looked. Initially I was really, really intimidated and it is overwhelming and there’s a lot of steps and like you said when we got on, I’ve noticed that mostly men are dominating and I hadn’t even had that thought like, “Oh, I wonder if there is any women doing this thing.” Not that I thought I couldn’t but I did notice that. So I’m happy, I’m really happy to be here talking and I hope that women are listening and you can do it too. [00:17:42] Scott: Absolutely and I would say even men that are listening, listen to the story but then let your wife know or your significant other or whatever because I believe also like, even if the woman in your life isn’t going to do it, if they can understand it, they’ll be more supportive. I always look at it like the other side of things too or you can get your wife interested or your girlfriend or whatever. You can get them interested in it because maybe it’s something that they’re not even aware of and you can inspire that thing too. So I just think that everyone has the same amount of skill set as far as like, we’re born with whatever we have. We are created but then we actually learn and we all have the same resources out there. It’s just a matter of what you do with it and then learn and how much you’re willing to take before you say, “I’m done, I’m out of here.” And I think like you said, it’s not really an option for us entrepreneurs that are in this thing for the long haul. There’s just not an option, we’re going to figure out a way. If it’s not even this way, this will lead us to whatever’s next. So that’s awesome. So, let’s start talking now about like, you got like this bug now, you’re like, “I’m going to do this thing, I’m going to do this online thing, I think it’s great, it would be another revenue stream, we’re not putting all of our eggs in one basket, this is great.” Where do you start to think of a product that you’re going to possibly enter into this market with? [00:19:08] Toni: So this is funny. I started listing last June and I had this notebook where I was keeping all my notes and I got a little overwhelmed. Got intimidated and then my busy time of year is like September Black Friday with my other business. So I fell off a little bit, came back to it again in February of this year and started listening to podcasts, started trying to think of products and research and went back to the original touch list I made when I first started listening and that’s what ultimately led me to my first product. [00:19:45] Scott: Beautiful. I love that. I love it that it was the touch list. [00:19:48] Toni: It was. It was the touch list. Back to basics. [00:19:51] Scott: Yeah, back to basics. Sometimes you have to go back to basics. Sometimes we want the tool that’s going to actually call it out and go, “That’s the one you should do because the numbers are exactly what you should do.” But a lot of times it’s the touch list that leads you to the product or the products and then the tool just validates that it’s a good thing to do. [00:20:07] Toni: It wasn’t the exact product but it was the idea related to and then I got on and started drilling down, drilling down and that’s when it was like light bulb. So that was very cool. [00:20:19] Scott: Love it, love it. So anyone listening, if you don’t think that the touch list is something you should do, listen to what Toni just said. The touch list is actually what… And it’s not just you, there’s many, many people that listen to the podcast or students of mine. They always come back and go, “I thought that the touch list was like eh, but I went, I did it and now I found a product.” So I just love that because it validates that a touch list… We just launched a new brand about four months and the products that we’re launching are from a touch list. So I basically do exactly what I’m telling everyone else to do or that it should do, is use that touch list and that will inspire you and then motivate and also get you to, like you said, it might not be the exact product but it almost like exposes you to a market that then you can drill into. That’s really how it happened. So anyway, all right so cool. So you get this idea, so what’s the next step? What happens? [00:21:17] Toni: So after that, I started reaching out to suppliers. I hopped on Alibaba and I used the form I used… I got your example, edited it to my specifications and details and everything. Probably shot that out to like 30 manufacturers and just like you say, some of them, I would get some responses like two weeks later where I’d already had my first sample made and I’m like, “Okay buddy, it’s not going to happen.” But some people responded right away. Some people were like very responsive but it was hard to communicate, so ultimately I ended up really hitting it off with one supplier and I have this great agent I’m working with there and she has just been phenomenal but I definitely had to weed through quite a few people to find her and we did two rounds of samples. The first round wasn’t the right color so they ended up having to like special order something for me which took a little bit longer. So that whole process did take a little probably like 2 months-ish to do, find them, communicate, samples, agree on price, shipping, all that. [00:22:44] Scott: I’m not going to say that’s 100% normal but it is in a sense because if you’re making modifications it can definitely delay the process and it sounds like you were modifying some things like you said. It could have been a different color, a different shade and you’re not just going to go off of it by them saying like, “Oh yeah, I just did this.” And you’ll be like, “Okay cool, don’t send me another sample.” You’re going to have them send you another sample which is going to again eat into some more time but I just think it’s part of the process and sometimes it takes four weeks, sometimes it takes two months. So in your case, it took about two months which is fine. [00:23:19] Toni: And it was worth it and I will say, I was so excited. I didn’t want to wait and do the more samples but I’m really glad that I did because we got it right and it looks great and that’s more important than rushing it. [00:23:33] Scott: And how was the packaging and stuff like that? Did you do some different packaging or was it standard but you modified it, what was the packaging like? [00:23:41] Toni: Standard but I modified it. I branded it with our logo but pretty standard. Nothing too fancy. As a first product, I didn’t want to get too heavily invested. My initial investment was really manageable and I was like I’m going to give this a shot, see what happens, it’s not going to be too awful if it doesn’t work. So I didn’t really go like too all in for the first run but it looks really nice without being super expensive. [00:24:17] Scott: How many units did you start with? [00:24:19] Toni: 500 but so it’s a pack of something. So, it was more units in than that but 500. [00:24:28] Scott: 500 units technically but they could have been a 3 pack, 5 pack, whatever. But that amounted to one unit inside of it. I get it. And I love that too because a lot of people say, “No, you can’t start with just 500, you got to go at least a thousand.” And we’ve got probably out of the six products we just launched, we probably have all of them but one that we could do 500 or less on a first run and we have one that I think we did like 300. So yeah, you just got to ask and you got to negotiate, you got to let them know that this is just a sample run or a test run and then from there we’re going to scale up. So cool. [00:25:05] Toni: That’s exactly what I did. [00:25:07] Scott: Cool, so now from the time that you ordered, now did you wire money to them? Did you do a PayPal? Did you do Escrow? How did the money happen? [00:25:14] Toni: I did credit card through Alibaba. [00:25:20] Scott: Okay, cool. That’s great. [00:25:21] Toni: I’m a big fan of getting all the airline points. [00:25:23] Scott: That’s a great idea too, yeah? [00:25:25] Toni: I put everything I can on the credit card and then just paid off. [00:25:28] Scott: Smart, smart. Okay, cool, so that’s the money. So you didn’t worry about that, you got a credit card, so that way if something happened you could intercept that. What was it? Was it 30%, 70% or was it 25%? [00:25:39] Toni: I broke the rules here and I was nervous about it and I know that it’s probably not the best thing to do but they wanted it all up front for the first order. [00:25:48] Scott: Yeah, you’re going for the risk. You’re were okay with that. [00:25:52] Toni: I know. I wasn’t okay with it. I was like tossing and turning at night. We were so far along in the process and I felt like I could trust her which probably is not smart but I went for it and it was all okay. [00:26:07] Scott: Okay, well it all worked out. [00:26:09] Toni: It did but I wouldn’t recommend it. [00:26:10] Scott: I was going to say. Did you say to them, “I’m sorry, my company will only do as much as 50%? Did you even try or did you just…? [00:26:17] Toni: I did try, I did try and they were just like, “We can’t for such a… Like it’s a low-order and you’re first time customer, this is our procedure.” Also because they had to do something like pretty fully custom for me, so it wasn’t like a stock thing. So that was a little understandable. [00:26:36] Scott: Well it’s funny that you say that because actually it was funny, I just got an email from one of my partners in the new brand and they were telling me that on this new product we’re looking at which is a little bit more of a more expensive product. It’s over $30 so it’s going to be a little bit more expensive for the upfront cost. And their whole thing was because we’re going to be doing a little bit of retooling, we’re going to be doing some stuff and they want us to pay 30% down on a thousand units just to basically get the retooling and the sample sent. That’s a first time that’s ever happened to me. Now on the flip side, we’ve actually worked with this company already on another project and it’s been really good. So, because they’re doing some retooling and they’re “technically saying” that they’re only going to manufacture this style for us on the modifications that we make, whether that’s true I can’t say. You can’t really enforce that from here over there but we’re going to have to send over like three or four grand just to get a sample to basically put a down payment on our thousand units. I’ve never heard of that. I never had it happen but we’re leaning towards doing it because we already have money coming through that brand so I’m going to start playing with some of the brands money, not just money out of our pocket. So, but anyway, it’s 100%. That’s, “Woah.” And especially on your first order. Hey, you’re out there getting ready to make it happen. I can tell that which is like, I’m not going to let that stop me. [00:28:09] Toni: I was. It was a bit of a gamble but I was just going for it. [00:28:12] Scott: Yeah, you’re Vegas. [00:28:14] Toni: Which is not my personality at all. I do not risk like that. [00:28:19] Scott: Wow, okay. Well you did it, it paid off, you got it. It sounds like you got a really good relationship though with your contact which I think is another thing to note here, is that you spent some time going back and forth. You can get a sense of how things are going to work and now she or he validated that relationship is pretty solid right now. [00:28:42] Toni: Yeah, she was good and we’re still like, even when we have nothing to talk about, I’ll send her a message on WhatsApp over the weekend and be like, “Hey, hope you’re having a good weekend with your family.” Just little things like that seem to make a difference in this kind of business relationships. [00:29:13] Toni: Yeah, it was her daughter’s second birthday the other day and she like sent me Whatsapp message about it. So it’s been cool and she wants me to come visit her in China. [00:29:24] Toni: And I’d love to do that. [00:29:25] Scott: I was going to say, that would be amazing, awesome. So now we’ve got the product, well we’ve got it purchased, it’s coming, it lands when we’re in Sellers Summit. It basically gets at your location, you’re ready to submit it, now you had it sent to you not into Amazon directly correct? [00:29:43] Toni: I did, the first order. [00:29:46] Scott: So now, that gets to you. You can’t wait. You want to say it at Sellers Summit because you’re having so much fun and you’re learning. You want to get home because you want to get this thing launched? [00:29:55] Scott: Okay, so let’s fast forward then to it. You get home, take us into the launch. [00:30:02] Toni: Okay, so I’m so glad I did the first run sent to me instead of directly to Amazon because I didn’t realize that you needed a suffocation warning on a bag that’s I think it’s five inches. If the bags diameter is five inches or larger, you need suffocation warning. So I missed that and ended up I think I was listening to a podcast or watching like one of the million dollar case studies or something and I picked that up somewhere and so I ended up ordering stickers and I had to sticker all of the individual units before I sent them into Amazon. So caught that and then once we’ve got all that taken care of, sent them in, they hit the warehouse and in that time I finished optimizing my listing. I had all my pictures pretty much… Actually no I didn’t. I had to take pictures after I got them because of the pack. Like I only had one sample. I actually took all of the pictures. I have some photography experience and with my store, I have a big back white backdrop and I have the lighting and everything. So I was able to save a lot of money doing that myself and then I hired someone on Upwork to do some lifestyle photos. [00:31:22] Scott: Cool. How did that work? Let me just stop right there. So how did that work? Did you send the product to them and have them use it and kind of like that or did they Photoshop? How did that work? [00:31:34] Toni: They Photoshopped it. So I purchased pictures for commercial use on Adobe Stock I think was the website I used and I had to like comb through a zillion pictures where a Photoshop situation would work. And then, I took pictures of the product, sent them to the person on Upwork and then he did all the Photoshop work just to save time. So it would have been like a pretty tedious Photoshop job. Like I can do that kind of stuff. [00:32:05] Scott: How was that process for you, with Upwork and finding that person? [00:32:08] Toni: It was great. It was so easy and he was super friendly and I think the whole thing took three days and it was 60 bucks, like awesome. [00:32:29] Scott: Wow, that’s awesome. And now you’ve got a Photoshop person that you can go to when you need him? Love that. [00:32:25] Toni: Yeah, so that was good. [00:32:38] Scott: Okay, cool. You get your pictures up, your listing is semi-optimized, I’m assuming inventory is enroute to get there to Amazon and then let’s just, let’s fast forward to you get that notification that it’s live. [00:32:45] Toni: So I got the notification that it was… What is it called like when it’s like not live but it’s pre-order? [00:32:52] Scott: Yeah, yeah, it has that pre-order or it’s pending. It’s basically, it’ll start to show that it’s there but it won’t be delivered until whenever July 11th or whatever. It’ll say that so you can still buy it but you don’t, you can’t get it like shipped in one day or two days. [00:33:11] Toni: Right. So that happened and I sold three that day. [00:33:16] Scott: Wow, without any pay-per-click or anything? [00:33:17] Toni: Yeah, like I didn’t even realize it was up and I looked at my app and I was like, “What?” So, three that first pre-order day and then three the next pre-order day and then the day that it actually went live, I think I sold like 9 or 10 before I turned on the pay-per-click. I just didn’t even think it was going to happen that fast. So I’m like freaking out over here, so excited. [00:33:47] Scott: I bet you were. [00:33:59] Scott: Great job, pat on the back. [00:34:01] Toni: Great, so that was very exciting then I turned on the pay-per-click and in the first week I think I sold like 114 units and did I think it was like 3,000 in revenue in the first 7 days. I was really, really excited. [00:34:20] Scott: I bet you were. Now what kind of margin are we talking about here on these? [00:34:23] Toni: So, my initial margin was 46% but since then my competition started like undercutting my price and I had to… I think it was probably like four or five weeks in. I had to drop my price pretty much, a pretty big chunk but so now it’s around 42% but I’m still happy with it. [00:34:51] Scott: That’s absolutely phenomenal. So basically to launch this, all you really did was give yourself an optimized listing, great pictures, you sent in the inventory and then automatically it started getting picked up and then you started getting a few sales and then the minute that it goes live like for real live and then you turned on pay-per-click, you started to get some regular sales and within the first seven days, you sold over 100 units. So how much pay-per-click would you say that you were spending on a daily basis? What did you budget? [00:35:27] Toni: So initially I budgeted $20 for an auto campaign and $30 for a manual campaign. I skipped the step for waiting for my auto campaign data to come in because it was pretty obvious what my main keyword search term phrases would be. It just, with my product it’s pretty obvious. And I had done a lot of research on Google Adwords, the tool that they have. I have an account for my other store and I played around in there and I had like a pretty good idea from researching all that ahead of time. So I just went ahead with a manual campaign and I was so curious, I couldn’t help but look at it even though I knew I was supposed to wait. So I just played around with that and that worked pretty well. I think I guessed pretty accurately. [00:36:26] Scott: On your main keywords? [00:36:31] Scott: Your budget, I’m sorry. So your budget though for $30 on the manual or $25 whatever it was, did you go through your budget? Did you go out of budget? [00:36:40] Scott: You did, okay. [00:36:42] Toni: And that’s one of the questions I had for you, is like, what happens if you are going through your budget? I started doing where I turn it on at 10:00 a.m. and then turn it off at 10:00 p.m. But I was pretty consistently going through all of it pretty quickly. [00:36:58] Scott: Well, here’s a couple of things that I would suggest doing. Number one, exactly that though, I would turn it on and off like you did. So that would be one thing I would already say to do but you’re already doing it so that’s perfect. But what I would then start to do is look at the keywords that are and I’m saying keyword level not search term level. I’m saying like, so you’re broad I’m assuming you’re in the broad. I would also look at the keywords, all your main keywords and I would see which ones are eating up that budget and then I would either go ahead because you’re going to start to see that even with a broad term, you’re going to see that you’re getting more clicks on that one but they’re not maybe converting. [00:37:40] Toni: Yeah, that’s exactly what’s happening. [00:37:42] Scott: But the other ones down, let’s call below those that are ones that are getting some impressions and some clicks but you’re making sales of course we would love more of those, so then what I would do is I would reduce my bid on the more broad term I guess. I would reduce that bid a little bit, maybe 50 cents, whatever, I don’t know what you’re bidding and then from there more of that budget will then be allocated towards the ones that are converting better if that makes sense. That way you’re not… Because the minute that you run out of inventory on that one keyword on that broad, it’s going to take all your other ones down. The other thing you can do is take that one completely out of the equation and put it in its own separate campaign and allocate $15 or $20 to just that keyword and then the ones that are, they’re becoming, I guess they’re being turned off automatically once that campaign gets shut down because your budget’s gone. [00:38:35] Toni: Your budget’s gone. Yeah, I love it. That’s a great idea. [00:38:38] Scott: I would almost separate those two if that’s the one clear thing that’s running your budget and everything else then disappears. [00:38:46] Toni: Okay, that’s awesome. [00:38:28] Scott: I would play with that because a lot of times that’s what it is. You got one keyword that’s just sucking the whole campaign down and then everything else goes and then you’re like, “Well, if I would have just been available for those other five, I probably would have picked up some sales and I wouldn’t have paid as much for clicks.” So give that a shot and then the auto campaigns, what we’ve been doing is we’ve been doing like a hybrid approach like where we do exactly that we’ll take the manual campaign now, we’ll take the top five keywords that we think are the ones or the top 10 whatever, throw them into a manual campaign in a broad and then we’ll also run an auto a campaign but the auto campaign is always lower for cost per click because we don’t want that auto campaign to then compete with our manual. [00:39:29] Toni: Right. So I did end up turning off and completely turned off the auto campaign now. [00:39:34] Scott: Okay, you don’t necessarily need to run it but what you might want to do, like what were you bidding for your auto campaign, like per click? [00:39:43] Toni: Initially it was around like a dollar. Before I had the manual it was higher but then I moved it down, finally got the part about competing for impressions. So I moved those bids down a lot lower like indoor, like the 25 cents, 50 cents range. [00:40:03] Scott: Okay, that’s what I would probably suggest and because it doesn’t hurt even if you went at 20 cents and you go, “You know what, I’m just going to put a $10 per day budget on that campaign for auto at $10 a day and I’m going to bid 20 cents on keywords.” And then this way here, what’ll happen is let’s say that there’s other sellers out there like you that are turning on and off or running out of budget, well eventually your keywords could come available at the 20 cent level versus the dollar level. [00:40:31] Toni: Once they’ve run out of their budget for the day. [00:40:33] Scott: Yeah, so I would just take like a nice little $10 chunk and just send it there. That’s what we do and then we’ll get impressions, we’ll get clicks but the clicks are going to be 20 cents or less and they can convert to a sale and then this way here, you constantly always have that for when other people’s budgets run out or they stop bidding or whatever then you’re going to be there. So it’s just like a little way to clean up any scraps on the back end is how I look at it. It’s not hurting anything and you’re not competing with your other ones because your other ones you’re bidding higher so and then yeah. I’d give that a shot. I think you’ll do well with that. Then obviously you can always be in there tweaking and looking at the reports and all that stuff but for right now that’s what I would do. So not really, I mean you’re aggressive but not that aggressive on pay-per-click, so I love it because you’re still doing well with sales. Let me ask you this because we just wrapped up prime day depending on when this airs but while we’re recording prime day just wrapped up. What did that look like for you? Did that give you a boost in sales or was it just like an average day? [00:41:46] Toni: It did. I sold 72. So now that I’m farther along, I’m selling between like 25, 35 like 40 a day but then I sold 72 the night before and then 72 on prime day but I ran out of stock. I was so disappointed but you can’t complain about a good thing but I was also like dying to know what would have happened had I not run out of stock. [00:42:17] Scott: Well okay, so let me ask you this, did you run any promotion or did you just lower your price a little or did you just leave everything the same? [00:42:24] Toni: I just left it the same. I have it set up where it’s showing a higher price and then it’s marked down because that really is what I did. It was that price and I’ve had to lower it to compete. So I just left it and I thought might as well give it a shot and I can change it during the day if I need to and it just went until there were no more. [00:42:49] Scott: Yeah, that’s awesome. Well, you know what, and I love it that you ran out… I don’t love it that you ran out of inventory but I love it that you were running out at a such a high rate because now your conversion is so much higher and when you get back in stock I believe that Amazon will remember that conversion and then that’ll help you to start getting yourself back. Now when you do get back in stock, you’re probably going to have to turn your pay-per-click on again and get a little more aggressive in the beginning maybe for two days and then I think you’ll be right back to where you were. [00:43:16] Toni: So I was going to ask you that too. This has actually happened once before. That was my second order of 500 and the first time I ran out, I’m wondering like how aggressive is aggressive when you’re trying to get back, when you’re trying to get moving again? [00:43:45] Scott: Okay, well let me ask you the question first. What’s aggressive to you? If you were to say like, “You know what, I’m going to go ahead and give this thing a little extra juice.” What would you think it is? [00:43:47] Toni: So, last time I did I was up to like $4 and $5 a click on my main words and I was letting it go. I knew that wasn’t going to be forever but I knew it was worth it in the short term. [00:43:58] Scott: And what was your budget for the day? [00:44:00] Toni: I think it was like $125. I don’t want to do too, too much but I know I had to get up there. [00:44:07] Scott: And that $5, you weren’t probably paying that per click, you were just bidding there so you could be the top. What were you paying on a cost-per-click? [00:44:17] Toni: It was never over $2.50. I think that was maybe the most expensive on that like main, main keyword. [00:44:47] Toni: Just a short amount of time? [00:45:09] Scott: Yeah, I would do it for a short amount of time because it’s like you have a brick-and-mortar so you can relate to this. If you’re like having a grand opening sale again, you want to let people know about it. You would spend a couple hundred bucks to let people know about it. So it’s the same idea. So to me, you’re going to get sales from it and you’re going to get data but then you’re also going to start getting the algorithm back, remembering that you’re getting sales and now they’re going to start to rank you quicker and then the minute you get ranking again then we can pull that back. So I would, for me I’d be aggressive. 150, 200 bucks, cap it though. Make that your entire account not just on the campaign level because for anyone listening right now, if you don’t cap your main, your entire account, inside of your pay-per-click account, it’ll go higher than what you allow because it does it on a 30-day cycle. So if you tell Amazon that you’re willing to spend a hundred bucks a day and you only spend seventy today, they’re going to take another 30 and add it to tomorrow’s budget. So what you want to do, is you want to cap your entire account for the day and say the most out I want to spend out of my account today is 200 bucks. That’s across all your campaigns. If you have 10 campaigns it’s going to be collectively 200 bucks and I would do that when you’re doing something aggressive like that. Just so that way there, it doesn’t bank some of the other stuff you haven’t spent days before and then you will look at your account and you’re like, “Holy crap, I just spent $500.” So you just want to cap that. So just a little safe measure there to do that. But no, I think exactly what you said, I mean we’ve done it in the new brand. We’ve ran out twice now and for us it actually was painful because we had such good velocity but then we also had some problems after the fact that it was on Amazon, they screwed our listing up. So then, when we were getting back in stock we had duplications on listings that they were trying to fix and it just, it was a mess. [00:46:43] Toni: I watched one of those where you guys are talking about that. [00:46:46] Scott: It was just a nightmare, nightmare. But now it’s straight. We did a great… We had an awesome prime day. We did across our account. We did over 270 units so we did really, really well in one of those products. [00:47:00] Toni: Congratulations on that. That is awesome. [00:47:03] Scott: Yeah, thanks. So one of those products did over a 130, so that one product, that was the one that we ran out of stock and that’s the one that was all messed up. I was glad to be able to get that dialed back in but it’s part of the process. But that’s awesome. So, okay, so let’s wrap this up by like okay, at this point you’re a believer, you’re like this thing works, this is fun, this is exciting and you’ve diversified. Where do we go from here? What’s next for you? That really took some pressure off of picking a product because I really was trying to pick something that I could build on. I don’t know, I think really just focusing on what’s the next product. I have a few ideas, a few that are similar to this one that I’m doing and a few that are different and now I just have to take the leap again. [00:48:44] Scott: Yeah. My thoughts for you though is I think the open brand is fine but I think for you if you still want to test other products, I think that’s great. I would probably try to at least roll one more product out that’s attached to this one if it could because you have already some sales coming through and then you can start to cross-promote through that product so that’s the other cool thing. And the other thing is I think you’re great to be… I don’t know, would this brand lend itself to you? Could you be the face of this brand that’s this product that you’re selling? [00:49:16] Toni: I could potentially, I just don’t know if I want to. [00:49:20] Scott: Okay and again that’s the other question because I mean there’s so much power to having to face to a brand because now you’re not just competing on Amazon, other people have to compete with you for you and your brand because now we drive traffic outside of Amazon and then we can… Let’s say I get an extra 30 sales a day on my product and my competition is only on Amazon, I’m 30 ahead, they’re never going to be able to catch me. You see I’m saying I’ve got that leverage point now and I can also sell my own products on my own website and all that stuff. [00:49:52] Toni: I definitely have thought about that. I bought the domain and I’ve set up an Instagram page and I’m going in that direction. [00:50:00] Scott: But yeah, it’s not for everybody. I’ll be honest. If you had someone that you knew? [00:50:05] Toni: Yeah, that’s that potentially yes. I just don’t know that if I would want to do it. 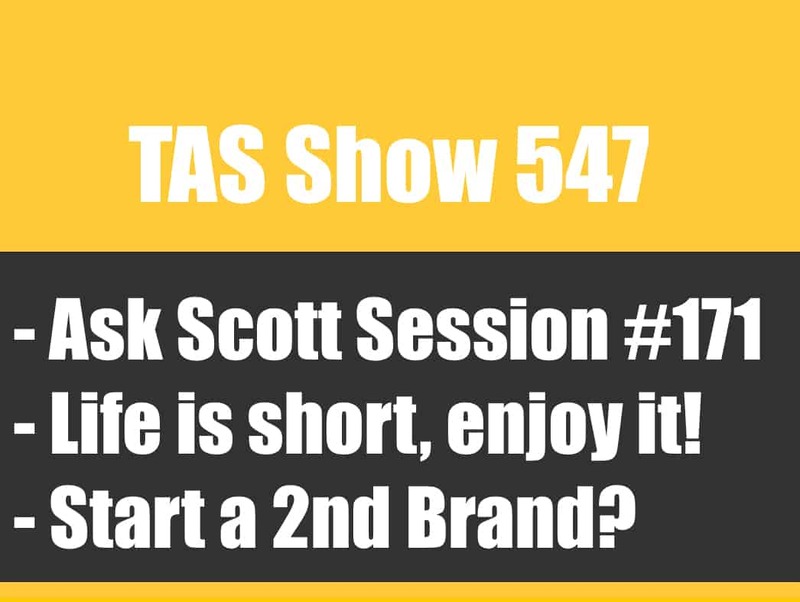 [00:50:08] Scott: But again, I think it’s one thing at a time and the open brand is great because now you can say, “Okay, I’m going to go and tackle this market, now let me go ahead and tackle this one and see what happens.” And then you can pick and choose but I always try to recommend to anyone if they at all are interested in building a brand to do it and hopefully it’s the person that’s running the business could be the front because there’s just so much power in that and influence and all that stuff. But anyway, that’s for another discussion but for you I’d keep riding this and the other thing is, I want to ask you this, I want to circle back and I’m sure that I probably have some listeners that are going to be, they’re wondering this and I’m wondering it as well. What were the numbers as far as search that you were looking at, like when you had your touch list and you went in and you started digging through, what were some of the numbers that you were looking at that you were projecting? Was it a 10 by 10 by 1? Was there ten units a day that you were selling that you were looking to sell? What was the price point? Give me some of that stuff. [00:51:05] Toni: I really was basing everything off of the 10 by 10 by 1 and when I looked at the numbers with this product, I almost thought something like wasn’t quite right and then I was like, “Am I catching a niche that’s not really that saturated yet?” I almost didn’t think it could be right. I was definitely searching for things with the 10 by 10 by 1 in mind but then I was like cautiously optimistic about this maybe doing a little better than that and it did which is awesome but that I was always focused on the 10 by 10 by 1 and starting there and using that it’s like a building block and then if it does better, great. [00:51:54] Scott: Awesome. That’s great because actually I should have asked that before but that’s important and I think when you’re looking at the numbers, you got to have a target to shoot for. And that doesn’t mean it’s always going to be that way but if you have a target, you can at least shoot for the target but if you do better, you do better and if you do a little worse, well okay, you’re only selling eight a day, okay no problem, it’s still okay if your margins are good. [00:52:19] Toni: I think the price point and the margin was really important for me. I wasn’t really looking at anything that was below a $25 price point and I based my product decision to off of having as high margin as I could. [00:52:38] Scott: Okay, you’ve done well and since Sellers Summit and now you’re telling me you’ve sold 1,000 units. [00:52:48] Toni: Yeah, so after prime day I’m like just below $25,000 in revenue so I’m super excited. [00:52:55] Scott: Wow, congratulations on that. We got to get a round of applause for Toni on the show today. Yes, that is awesome and I’m sure that you don’t have a lot of applause in TAS because that’s a huge milestone. $25K is a great milestone and to you it’s 1,000 units that you’ve sold through this channel. It’s proved it, it’s validated it, you know the system, you know it now, you’re excited, you’re motivated and to me that’s what it’s all about. [00:53:23] Toni: Yeah, definitely super psyched. [00:53:25] Scott: Yeah, that is phenomenal. [00:53:27] Toni: I’m so grateful to you Scott. I just, I can’t thank you enough for everything that you and Chris and your team are putting out there. It’s just so incredibly generous of you guys to share all of your knowledge and your resources and positive energy. Just everything that you guys do. [00:53:45] Scott: Well, I appreciate that but I will say you have to do the work and you have. So I give you a lot of credit because there’s a lot of people that do listen but they don’t actually do and that’s the big, big thing that a lot of people have to understand is that you did this but you learned a ton through this process. [00:54:22] Toni: It’s hard work. [00:54:23] Scott: Yeah, not everything works so well. Or, “Oh man, why did our listing get split into three different separate listings?” Because Amazon decided that they hated us today. There’s all of those things that happen but I’m willing to take that because I love learning number one. I love testing and tweaking but I also just for me, I’m always a part of just continuing to learn through the process and I just enjoy the climb. I enjoy the growing and all of the phases that are in-between and you don’t know what this is going to lead you. Like you said, you grew up with your mother doing the consignment shop. You never thought you would do it and then here you are doing it but you niched it down and then from there you’ve learned and then you opened up a door to ecommerce and now you’re doing this. Who knows in five years what you’re going to say that you’ve done because of this experience? So I think it’s awesome but hey, we’re going to wrap this up. I just want to say congratulations and I just think it’s awesome that this came like all the way around, full circle that I had a conversation with you at Sellers Summit. You hadn’t even launched officially yet. You had an inventory coming and you’re 1,000 units in, 25k, amazing. So awesome, awesome job and I want you to keep me posted. We’re definitely going to have you back on so you can inspire some more ladies out there. [00:55:41] Toni: All right, let’s do it, let’s do it. [00:55:43] Scott: I think it’s important and I think everyone is equal as far as what we can do out there, we just have to go out there and do it and you’re a proof of that. So I just want to thank you once again Toni. Any other words of wisdom that you want to give anyone, not just women but anyone out there that’s just starting? [00:55:59] Toni: Yeah, I guess just for me the biggest step was just going for it. I thought about it and I went around and around and around and until I just went for it. You can’t overthink it. You have to just go for it. You miss 100% of the shots you don’t take. So don’t think too hard just you have to believe in yourself and do the research and just go for it. That’s all I can say. Just go for it. [00:56:31] Scott: Great, that’s awesome Toni. Well hey, I want to thank you once again and definitely keep me posted and yeah just keep doing it. You’re doing an awesome job. [00:56:39] Toni: Well thank you Scott so much. I had so much fun talking to you today and I’m just thrilled and honored to be here. [00:56:46] Scott: Okay, I was not kidding. What an amazing woman. What an amazing story. Hopefully you’re listening to this and you’re like, “Man, the opportunities are endless.” I love how we went through her story. We talked about her leaving corporate, creating a business out of secondhand stuff but she niched it down. I love that story by the way and then I just love it how she continued to think again, how could I add another revenue stream? Like I’m in the products biz, I’m in the retail business how do I…? And then started looking into ecommerce and started looking at Amazon and then here we are. You see how the journey just unfolds but she may not have never gotten introduced to the ecommerce world if she hadn’t opened up her own shop. So you see how things just lead to the other and I’m not saying you have to open up a shop but I’m just saying the things that we do now are going to help lead us to where we’re to go next. There’s, I’ve said that in my own story and if you guys have not heard my story, episode 300 and I go through in detail pretty much everything through all of the ups, the downs, the different things I’ve tried, the things that I’ve had businesses that were successful that led me to another business. It’s a way that we learn, we grow and then we can pivot and Toni’s a perfect example of that and I just love it that she agreed to come on and inspire more women. So let’s do more of that or heck let’s just inspire everyone. I think the opportunity is endless and it’s up to us as individuals to make that choice and also to surround yourself with like-minded people like Toni had said and heard listening to the podcast and connecting in the group and then going to an event, Sellers Summit. It all just ties together and you want to be around those people that get it and that’s a big, big takeaway for anyone right now listening and saying like I feel alone in this thing, well you don’t have to be. [00:58:43] Scott: So yeah, I’m super excited for her. I’m excited for anyone else out there that is, they’re out there trying and they might be stumbling but they’re moving, they’re moving forward, they’re taking action. All right so guys the show notes to this episode, again can be found at theamazingseller.com/396. So go over and check those out and I’ll let Toni know that you guys will probably be hanging out over there and if you have any questions or comments please put them up there. Maybe even just give her a high five over there in the comments and yeah. So that’s it guys, that’s going to wrap it up. Remember as always, I’m here for you, I believe in you and I am rooting for you, but you have to, you have to… Come on, say it with me, say it loud, say it proud, “Take Action.” Have an awesome amazing day and I’ll see you right back here on the next episode. I’m listening to Toni’s episode now. Girl power! Toni, I’m an Amazon Seller who has had ups and downs. But I also have a subscription box business (Peace Love & Wine – a creative self-care and sisterhood retreat in a box for wine lovers). I’m creating some one-off boxes and I would love to chat with you about a possible collab. Thanks Scott for continuing to share and rock the mic. Give belly rubs to Brody for me. Scott, this was a great episode – thanks for having Toni on! I’m relatively new to the podcast, and I think this was the first time I heard the term “Touch List.” What is that? Hey Lori, it’s a list of everything that you touch 🙂 grab a pen and paper and make a list of everything you touch durning the day!